Forever 21 complaints number & email. FOREVER 21 double charged me supposedly due to a tech glitch. On that date (2/18/19) their supervisor named NINE assured me I would get my money back for the duplicated mistake order sent through. However, I was told they could not refund me immediately in spite of calling right away. ALSO while this is going on, FOREVER 21 was STILL promoting this KNOWN bad Presidents Day promotion code to the public. It was still live and usable. I am a web designer who understands this is illegal and corporately unethical. The promotion they offered was not honored on the "goodfaith" processed order, I was fully charged for that order as well! So I was double charged in full from duplicate glitch, with no promotion even going through for either. I have been on the phone for 4 days now, still have not received my due refund or adjustment to the processed one which used their code. THIS COMPANY IS DISGUSTING AND VERY UNPROFESSIONAL. THEY WOULD NOT EVEN PUT A SUPERVISOR ON THE PHONE ONCE 3 DAYS PAST SUPPOSEDLY DUE TO HIGH CALL VOLUMES FOR THE MESS THEY MADE ON PRESIDENTS DAY. I STILL HAVE NOT GOTTEN MY MONEY AND THIS COULD DRAG OUT A COUPLE WEEKS. Their own rep, Savannah B let me know that. Get verified information about Forever 21 complaints email & Phone number. If you wish to complain to Forever 21, call the complaints line on 1-888-494-3837. There are full contact details and information about the complaint procedures on the Forever 21 website. Complaints handling is available on the Forever 21 website via ‘Customer Support.’ The first step is to call on the complaints line 1-888-494-3837. If your complaint is not resolved at this stage, the company’s complaints procedure is clearly set out along with further contact details such as a correspondence address and online contact form. Forever 21, is an American fast fashion retailer headquartered in Los Angeles, California. Forever 21 is known for its trendy offerings and low pricing. The company sells accessories, beauty products, home goods, and clothing for women, men, and girls. 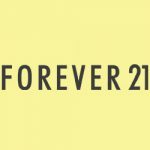 Originally known as Fashion 21, the first Forever 21 store was founded in Los Angeles, California on April 21, 1984 by husband and wife, Do Won Chang and Jin Sook Chang from Korea. Hopefully, We helped you to get some genuine records for Forever 21 Complaint information. Use below complaint form to discuss problems you have had with Forever 21, or how they have handled your complaints. Initial complaints should be directed to Forever 21 directly. You can find complaint contact details for Forever 21 above.